If you need to hire a space in London but want to keep your budget down, why not consider a dry hire venue? A dry hire venue is not a place where non-alcoholics hold tea-parties. It simply means you hire the room or venue without any additional extras, such as catering, bars or entertainment. If you book a dry hire venue it’s a great way to control your costs. The most common reason people book a dry hire venue is because they want to create a bespoke event. All down to the last detail. A dry hire venue allows them to do that. Looking for a spacious and airy industrial-style building? Then look no further than the Boiler House in the Old Truman Brewery. This building features huge windows that overlook the city and skylights situated in lofty ceilings. These skylights shine natural light onto the quarry-tiled floors. This redbrick house is perfect for hosting larger parties as it also features a large outside courtyard garden. The Boiler House has many stunning and original features. There’s the Truman chimney for one. This has been used in the past as a circular catwalk for many designers, including Ben Sherman, Fashion East and more. Troxy is a Grade II listed building. It opened in the 1930’s as a cinema. It has retained many art deco features which are still an integral part of the architecture. Don’t expect an old-fashioned vibe, however, as you can see from our feature picture. When it comes to entertainment the venue has an impressive hi-spec built-in sound and lighting system. You have also got an adaptable stage you can use for different performances. 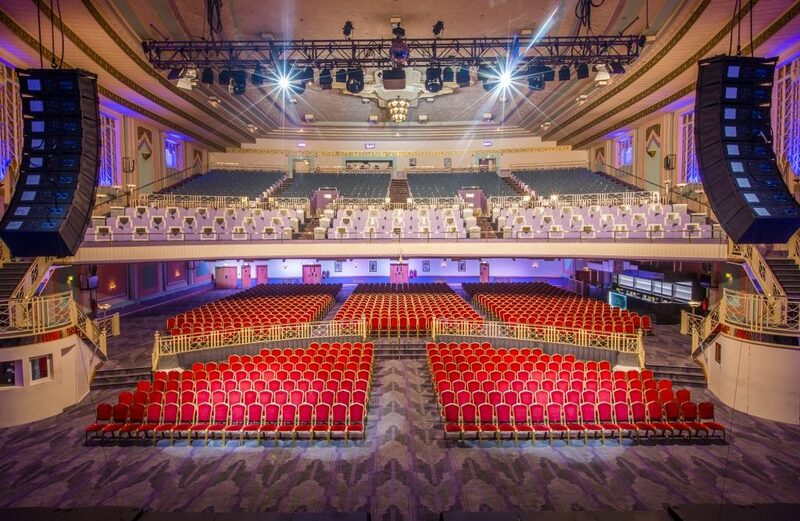 If you want inspiration, look at what kind of events have been held at Troxy in the past. They have hosted everything from live concerts to corporate dinners. Tobacco Dock is London’s newest space for hire but is quickly gaining a favourable reputation. Perfect for outside events, the dock can hold between 200 to over 400 guests at a time. Not only that, but you can also hire packages to compliment your special event. For example, the summer party package includes background music, street foods stalls and unlimited drinks all night. Guests enter the dock via a lovely cobbled quayside terrace. Once inside the courtyard, they are totally self-contained and protected from the elements. You’ll find this renowned state-of-the-art international exhibition centre in London’s Docklands. As for space, you get a huge 65,000 square metres of exhibition space. Not only that but you also get 45 individual meeting rooms as well. This venue is ideal for any kind of event you can think of. From larger-scale conferences, product launches, award ceremonies, team building exercises to larger sporting events. Finally, for a truly unique setting unlike any other, the Queen Mary University of London has several spaces available to hire. And they all offer different experiences. There’s the Senior Common Room, where you can hold your intimate wedding ceremony. After the ceremony move your guests into the stunning Octagon room for either a wedding breakfast or reception. The Octagon was originally the College library. You can still see arrays of books on the shelves while you dine. Outside there’s the Queens’ Lawn, Courtyard and Victorian Clock tower. These are all stunningly beautiful places where you can sip cocktails or have photographs taken.